Other Names: Vervain is also known as Vervan, Van Van, Ferfaen, Verbein, Verbena, Verbinaca, Dragon's Claw, Enchanter's Plant, Tears of Isis, Juno's Tears, Herba Veneris (herb of Venus), Persephonion, Demetria, Mercury's Moist Blood, Peristerium, Sagmina, Pigeon Grass, Pigeonwood, Frog-foot, Simpler's Joy, Altar Plant, Herba Sacra or Herbe Sacrée, Holy Plant, Herb of Cross, Holy Herb, and Herb of Grace. In ancient and present times Vervain has been known as a cure all and it is considered as an effective sedative, tranquilizor and antispasmodic as well as being an excellent tonic and stimulant that calms the nerves and helps anxiety. 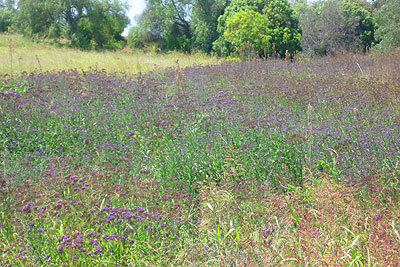 When travelling throughout Australia we have seen Vervain growing in abundance in paddocks and on the side of the road. It grows profuselly at our Middle Path property and all along the Eastern Coast. It is also known to grow wild all over Europe, North Africa, China and Japan. Vervain has antidepressant properties and is used for anxiety and a fatigued nervous system especially after a period of emotional stress. It is used during labour as it makes child birth easier because it invigorates the contraction of the uterine muscles. Taken with Yarrow and vitamin C it breaks up colds in a few hours. This amazing herb has so many health benefits and is used for many conditions as you can see on the uses tab. Parts Used: Aerial parts, roots and leaves. Nervine tonic, sedative, antispasmodic, diaphoretic, hypotensive, galactagogue, hepatic, tonic, sudorific, expectorant, vulnerary, emetic, emmenagogue, vermifuge . As vervain has many medicinal uses, it can be applied in different ways. The herb’s leaves are most effective for their therapeutic properties and they can be taken as a herbal tea and made into a professional grade tincture. 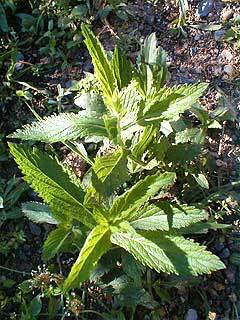 Externally the leaves can be applied as a poultice or be made up into an ointment. It is also an effective mouthwash. Vervain is also very effective on “spooky” horses, adding a little to your horses’ feed calms them down . Contra-indications: It should not be used medicinally by pregnant women. If taken in excess dosages, the herb may lead to vomiting. The Egyptians dedicated the herb to their Goddess Isis and used it as an ingredient in love potions. Vervain found a place in the holy Christian scripts as the herb that was used to stop bleeding from Jesus Christ&rsqou;s wounds on Calvary. 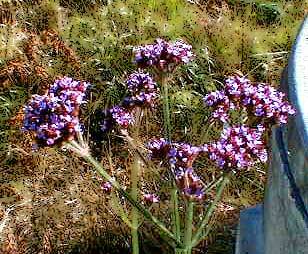 Because of this Vervain is regarded as the “herb-of-the-cross” by Christians as well as others. King Solomon cleansed and purified the Temple with Vervain, and the Romans placed it on altars in honor of Venus and Diana. 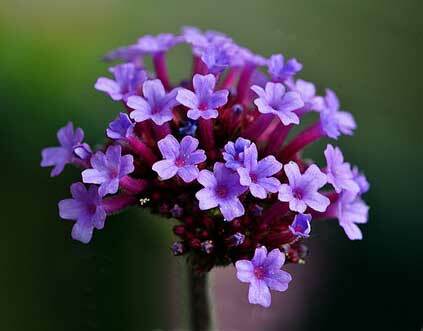 Vervain was used in rituals burnt as incense in divination, ritual cleansing of sacred spaces and consecration, and the tea was used as a magical drink to help people who did astral work, creativity and divination. 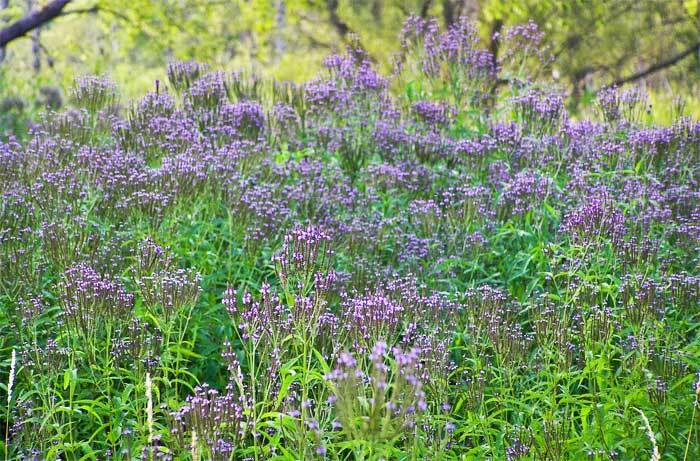 Vervain can be made into an oil by soaking the herb in olive oil for a month then straining it. This oil was used to anoint the third eye in the middle of the forehead just above the eyebrows. In ancient times the herb or infusion of tea was sprinkled around homes for purification and protection guarding people from evil spirits and spells . Vervain, like Betony, has a long and well-documented history of association with the magic and sorcery of the Celtic and Germanic people of Europe. It also seems to have been considered sacred by the Greeks and Romans however, being known as "Herba sacra and "Herba veneris. Not surprisingly for a herb with alleged magical properties, Vervain was used in numerous complaints and it became an official drug. By 1830, however, Geiger stated that in Germany it was seldom used. It still has a place in folk medicine. Description Perennial 35-80 cm tall, glabrous or nearly so, on erect, ribbed, angular stem; loosely branched and only sparsely leafy. Leaves petiolate, ovate, some pinnatifid, to 6 cm long. Flowers small, lilac, at the tips of long stalks. Appearing summer to late autumn. Distribution Native to the mediterranian region; established elsewhere. On roadsides, wasteland, on nutrient-rich soils to 1500 m altitude. Cultivation Wild. Propagated from seed sown in spring. Requires full sun. Constituents Mucilage; tannins; saponins; essential oil; verbenaloside; the glycosides, verbenaline and verbenine; unknown sub- stances. Uses (dried flowering plant) Tonic; astringent; diuretic; diaphoretic; galactagogue; emmenagogue; vulnerary; antispasmodic. Used in the treatment of nervous complaints such as depression, and with other remedies in chronic skin complaints. Considered to have a specific benefit to the uterus, but this is un-substantiated. Used externally to treat wounds. A very easily grown plant, it succeeds in any moderately fertile well-drained but moisture retentive soil in a sunny position. Plants are very tolerant of neglect and will maintain themselves for a number of years even when growing in dense weed competition. Self-sows freely when growing in a suitable position. The growing plant attracts butterflies and moths. Propagation: by seed, root division or cuttings. Plant in full sun in a well-drained position. Seed: sow early spring in a greenhouse and only just cover the seed. Germination should take place within 3 weeks. Prick out the seedlings into individual pots once they are large enough to handle and plant them out in early summer. If you have sufficient seed, it can also be sown in situ in late spring. 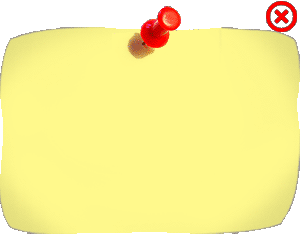 Division in spring: Larger divisions can be planted out direct into their permanent positions. We have found that it is best to pot up smaller divisions and grow them on in light shade in a greenhouse or cold frame until they are growing away well. Plant them out in the summer or the following spring. Basal cuttings in early summer. Harvest the shoots with plenty of underground stem when they are about 8 - 10cm above the ground. Pot them up into individual pots and keep them in light shade in a cold frame or greenhouse until they are rooting well. Plant them out in the summer.